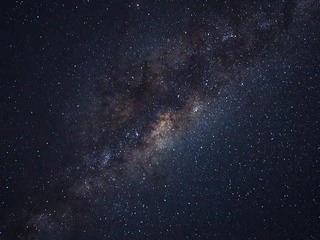 •	Astronomers have discovered 83 quasars powered by supermassive black holes 13 billion light-years away from the Earth, from a time when the universe was less than 10 per cent of its present age. •	This finding, published in The Astrophysical Journal, increases the number of black holes known at that epoch considerably, and reveals, for the first time, how common they are early in the universe`s history. •	In addition, it provides new insight into the effect of black holes on the physical state of gas in the early universe in its first billion years. •	Supermassive black holes, found at the centers of galaxies, can be millions or even billions of times more massive than the Sun. •	While they are prevalent today, it is unclear when they first formed, and how many existed in the distant early universe. •	A supermassive black hole becomes visible when gas accretes onto it, causing it to shine as a quasar.